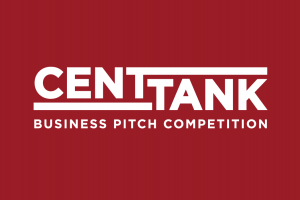 SHREVEPORT, LA —Centenary College students vying for the top prize in the inaugural CentTank business pitch competition will wrap up a months-long development process at a final awards banquet on Saturday, April 13. Six teams have been named as finalists in the competition jointly sponsored by Centenary and the Entrepreneurial Accelerator Program (EAP) a division of BRF. CentTank kicked off in January 2019 with a networking event helping students connect with local business professionals and entrepreneurs. The program continued through the spring semester with a series of workshops and mentoring sessions, and finalists were announced following the initial pitch submissions in mid-March. Teams will present their final plans to a panel of judges on the morning of April 13 and cash prizes and in-kind professional services worth over $4,000 will be announced at the awards banquet that evening. The CentTank competition was open to any Centenary undergraduate student and proposals from the finalists reflect the College’s rich liberal arts tradition, presenting products and services ranging from art consulting to sustainable energy to medical supply. More information about CentTank is available at centenary.edu/centtank. The Entrepreneurial Accelerator Program, an initiative of BRF, is a public/private partnership between BRF, the Caddo Parish Commission and the City of Shreveport to diversify the regional economy, create jobs and expand the area’s tax base by providing services to innovative startups that have high growth potential. Since EAP began in July 2014, the program has screened more than 750 startups and provided services to more than 220 companies.